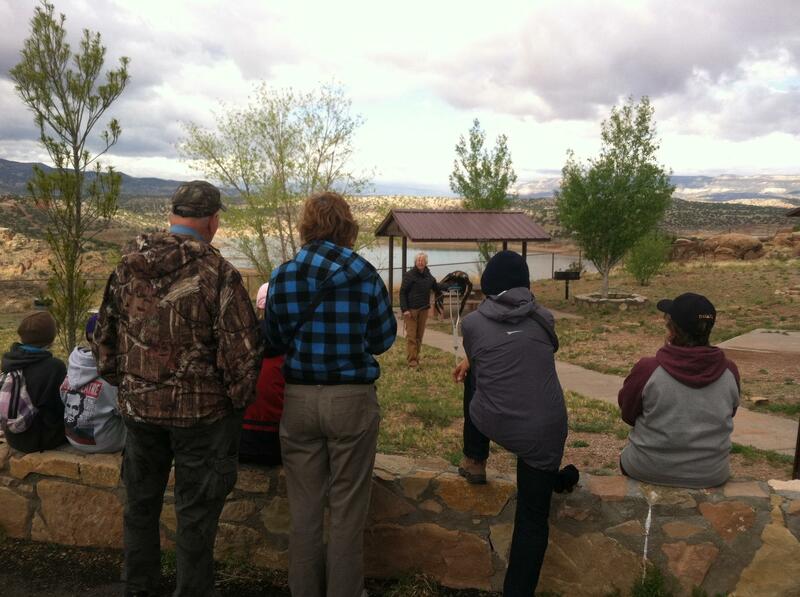 Last Wednesday was Earth Day, but our celebration with the US Army Corps of Engineers at Abiquiu Lake wasn’t until last Saturday. 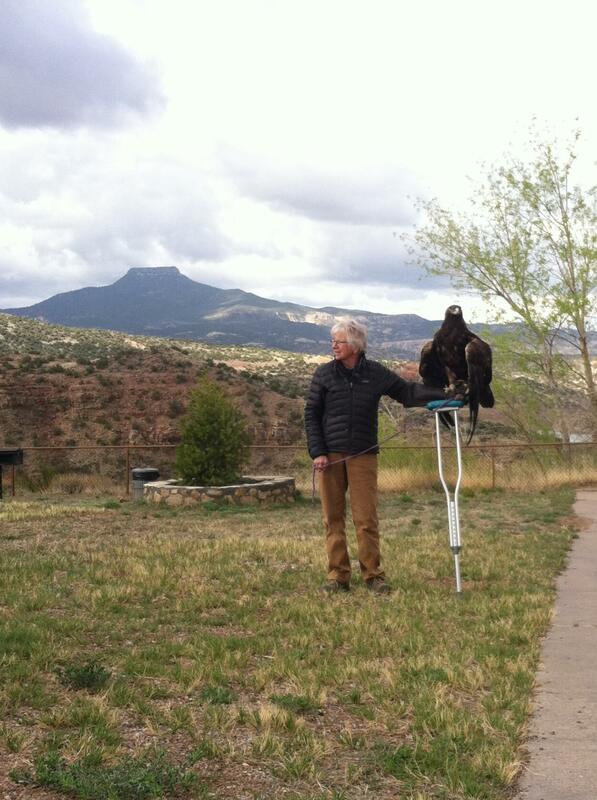 We met at the Visitor’s Center at 9 am, where guests got to meet two of NMWC’s most spectacular residents, Grace the Golden Eagle and Electra the Osprey. Listening to Katherine Eagleson explain the habits of golden eagles. 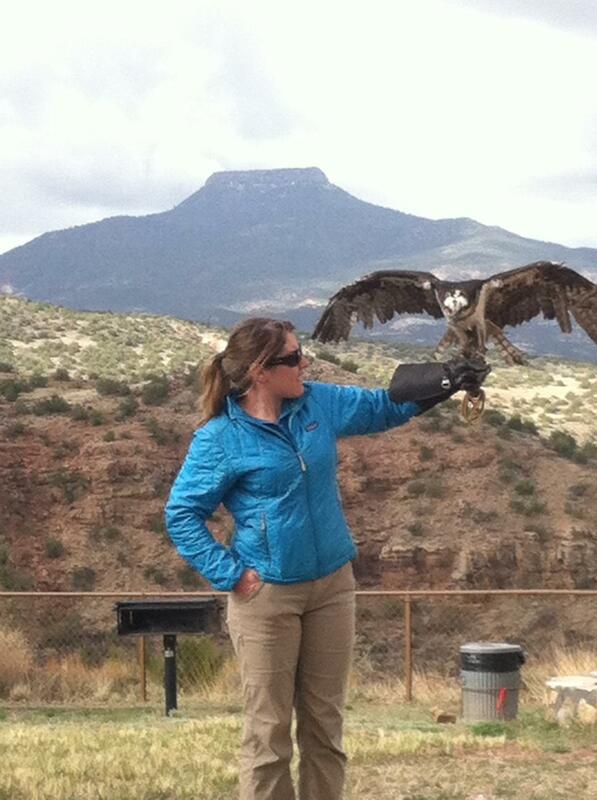 Katherine with Grace, the Golden Eagle. 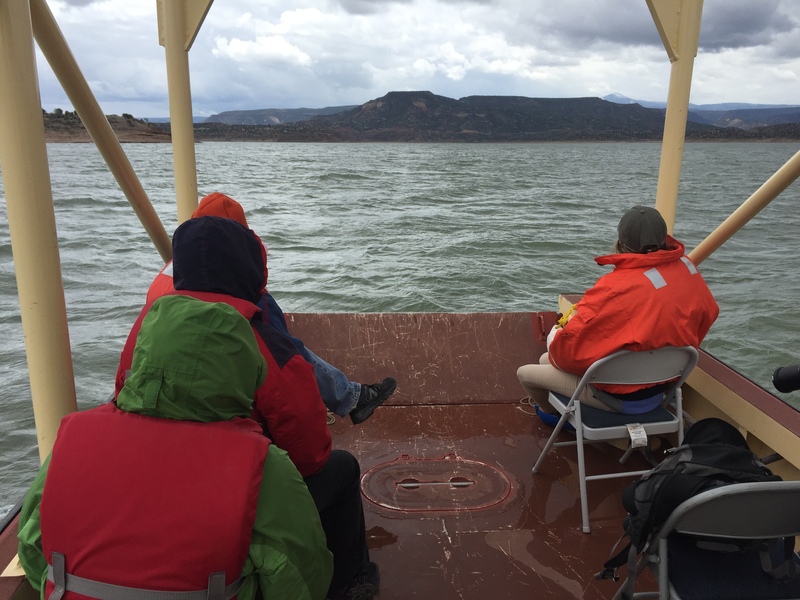 After seeing these two, we headed out with the USACE rangers to survey the birds around the east side of Abiquiu Lake. Water safety is first and foremost! Braving the wind and chilly temperatures in the name of science. Below is our final bird list for the day. Here’s another upcoming event. 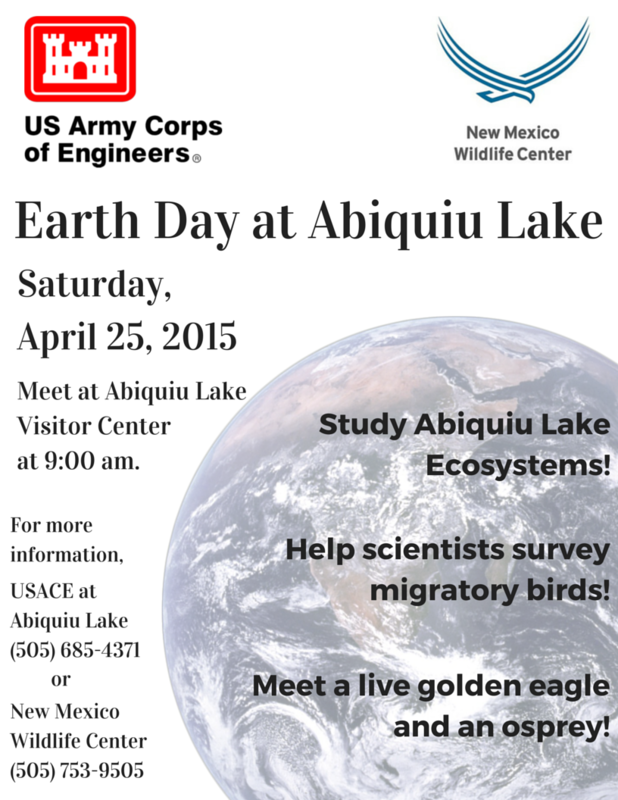 We’re taking Grace and Electra to Earth Day at Abiquiu Lake. 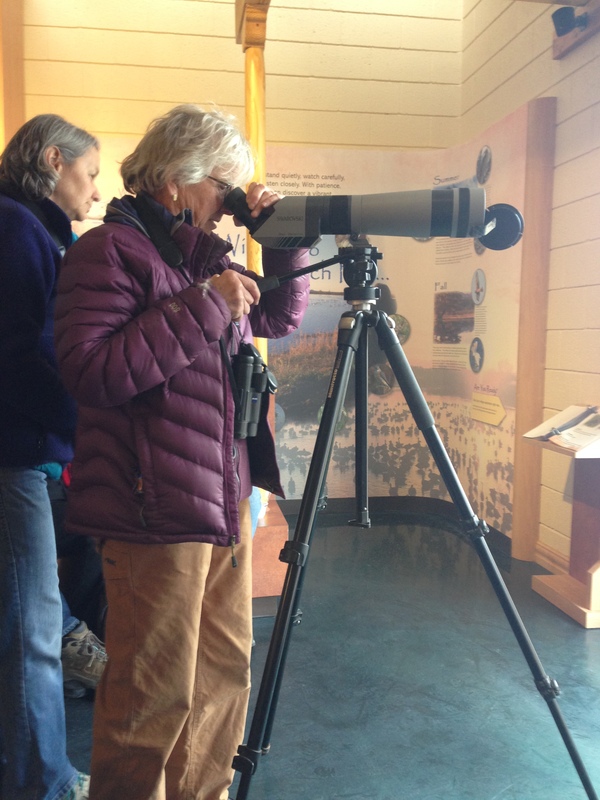 Join us, and help us survey migratory bird species! Well, both River Classroom and our trip with McCurdy were cancelled this week. 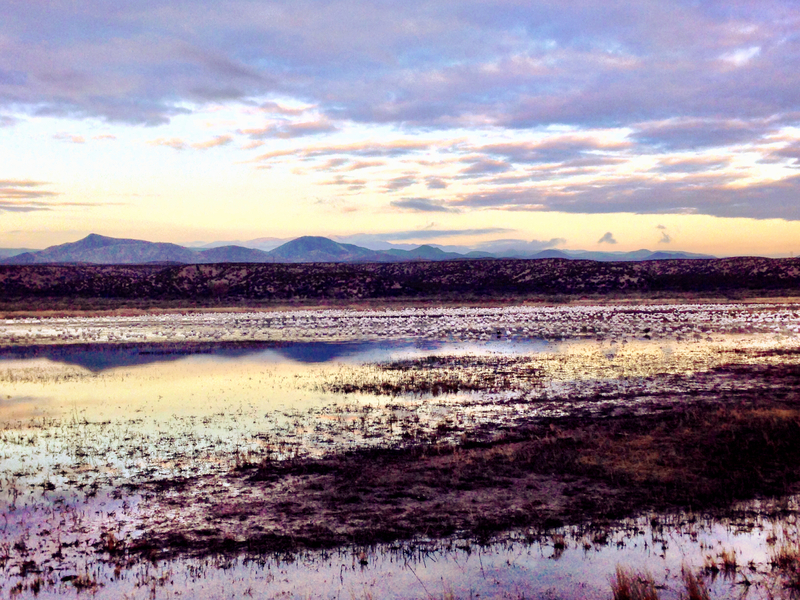 While we are working on rescheduling those, check out this upcoming event in Abiquiu! 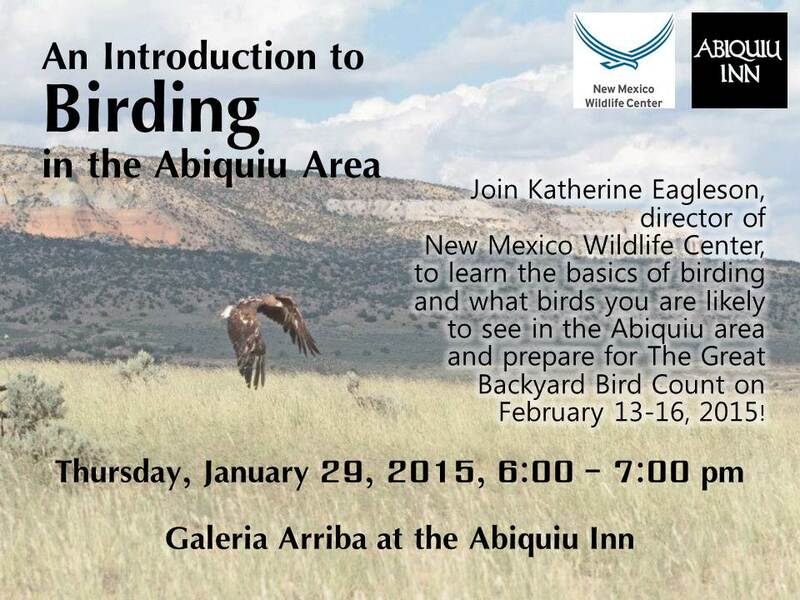 We’re exciting to partner with the Abiquiu Inn to present an introduction to birding in the Abiquiu area. 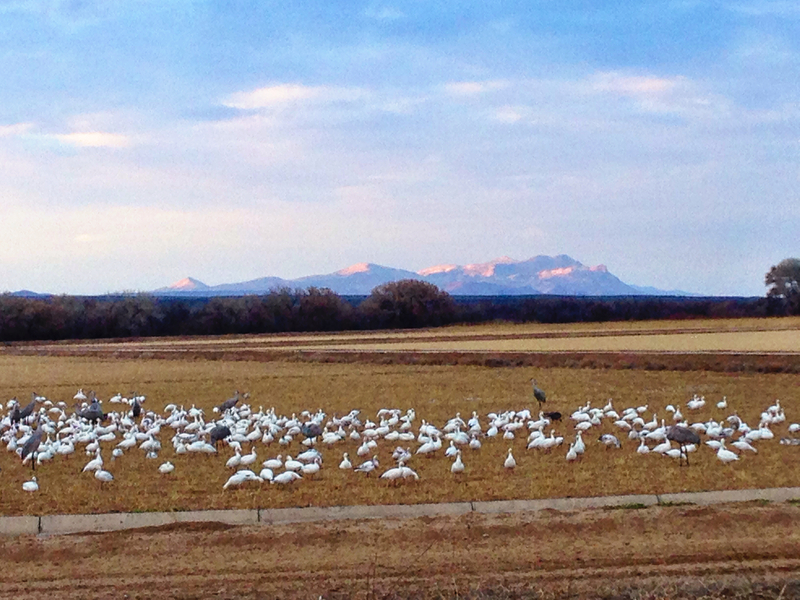 Come have dinner at the Inn before the talk and then learn how to identify common local birds. This event will be next Thursday, January 29. 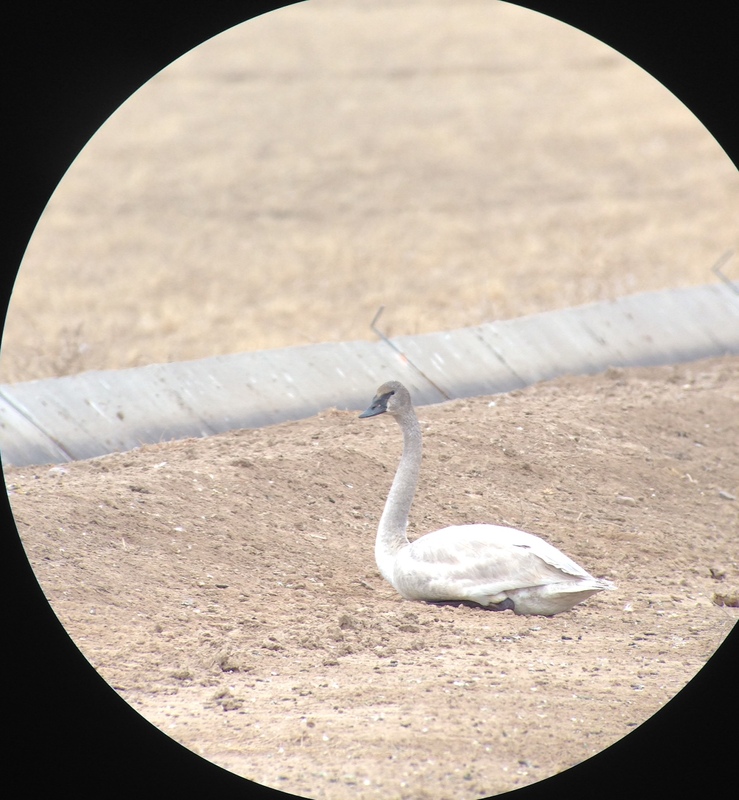 This will give you plenty of time to practice birding in your yard before The Great Backyard Bird Count, which runs from February 13-February 16. 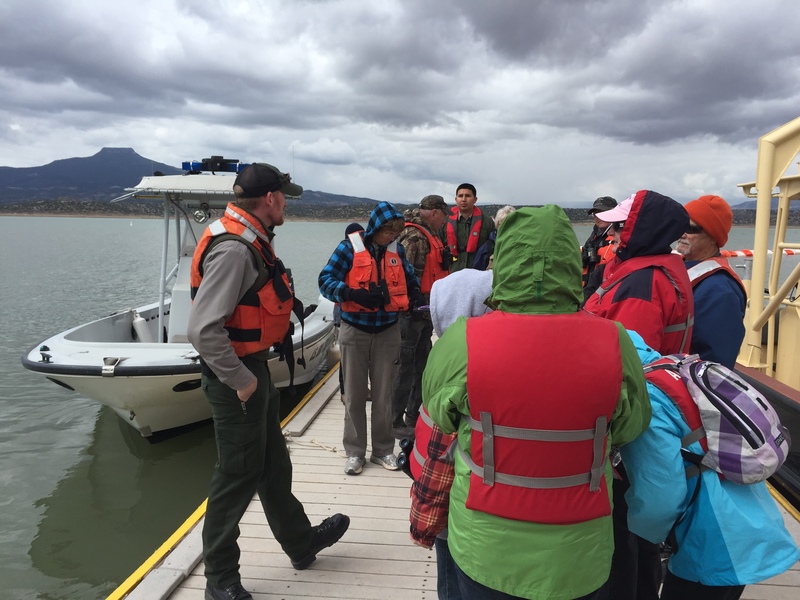 Last weekend, NMWC tried out our new 12-passenger van by taking some of our most dedicated volunteers to the Bosque del Apache. We left on Friday and headed down, went birding during the day, and hung around until the evening fly in. 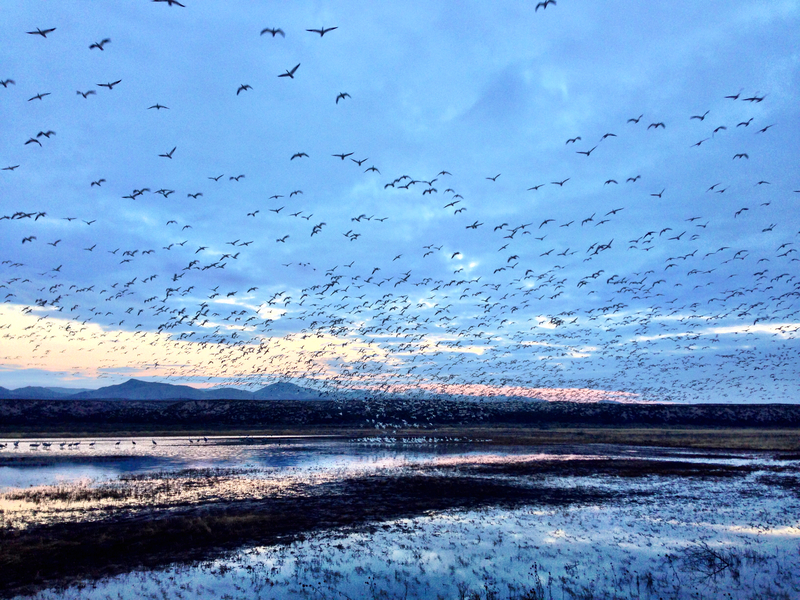 Then we got up very early on Saturday, made it to the Bosque in time for the fly out, and drove the loop one more time. 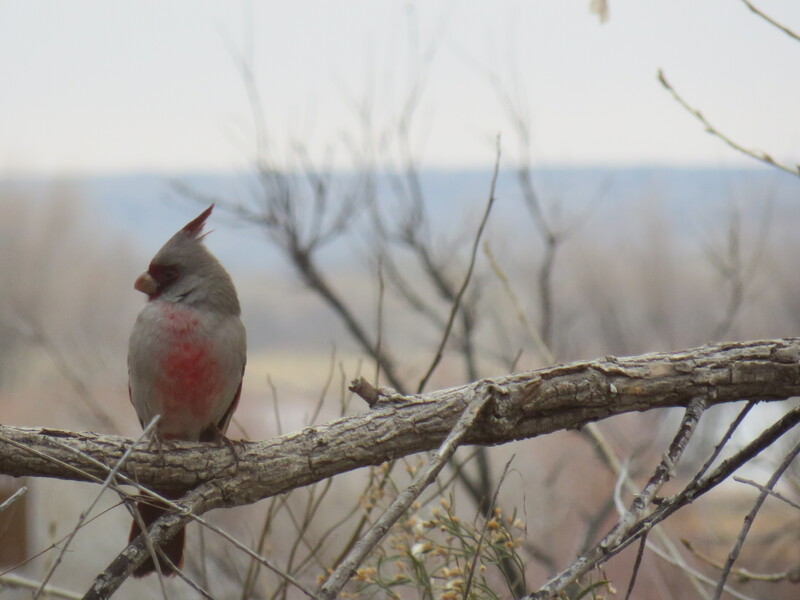 We saw 32 species of birds on Saturday, including pyrrhuloxia, which has been on my list for quite some time. It was a fantastic trip. We hope to have some of these expeditions open to the public in the future- stay tuned for announcements!